Nearly three thousand tractors are a part of this entire protest march. These tractors have been homes for the farmers for the last ten days as they are used as the places to cook food and mattresses have been laid on them to survive the nights. Yasin Khan, 45, is the father of six kids. He is the sole breadwinner in his family of eight and works as a sugarcane farmer in Uttar Pradesh's Muzaffarnagar. The government sugarcane mill has not given his total payment of Rs 10,000 for the last four months. He walked for ten days, ever since the protest march began on September 23 in Haridwar, hoping that becoming a part of this protest would help him. Little did Yasin know that he would have to face tear gas shells and water cannons. 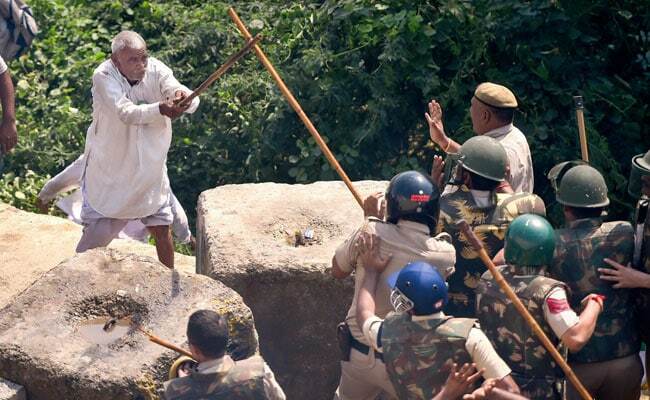 Showing his teargas shell injury he said, "This is brutality of the police and Modi government on unarmed farmers. We came walking peacefully for 250 kilometres and they couldn't even tolerate us here for the remaining 10 kilometres." He added, "It has become very difficult to make arrangements for the school fees of my children and to have three meals a day. I try and borrow from relatives and have been surviving on that as the payment has been pending for four months." Nearly three thousand tractors are a part of this entire protest march. These tractors have been their homes for the last ten days as they are used as the places to cook food and mattresses have been laid on them to survive the nights. 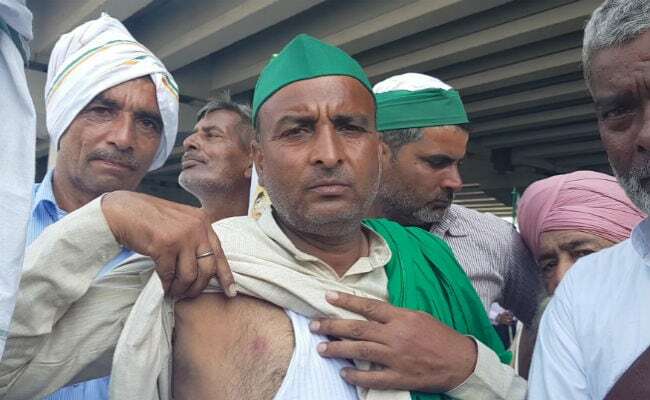 As the farmers brave the scorching heat, additional arrangements for water and main meals of the day are made by the Bhartiya Kisan Union, the organisation that is backing the protest. 89-year-old Gurudev Singh has come all the way from Sangrur town of Punjab. Even at this age he strongly lists out his demands and supports the union's stand that the protest should not be called off until all demands are met. He said, "We get minimum support price of Rs 1,700 for a quintal of wheat but we should get Rs 2,800. Diesel prices have risen from Rs 50 per to Rs 75 per litre. I need to get fuel for my bike and my tractor how will I manage at these prices." 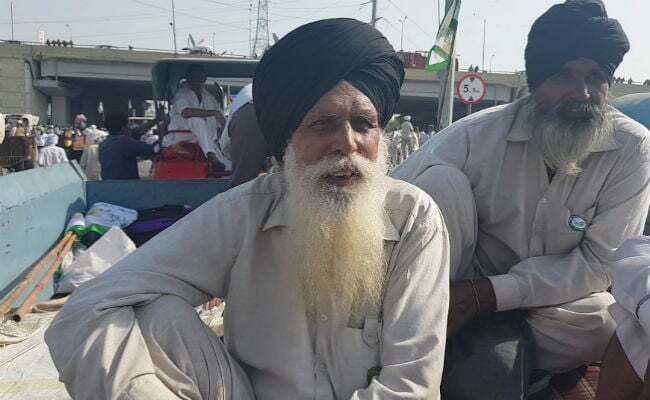 Mr Singh added that he is the only one to take care of his son and two daughters and their education as his wife passed away a few years ago. "We came all the way till here we won't move until they make proper rules to ensure fair prices for us. Empty assurances are no good," Mr Singh added. Amidst the sea of men, there are very few women that can be spotted. 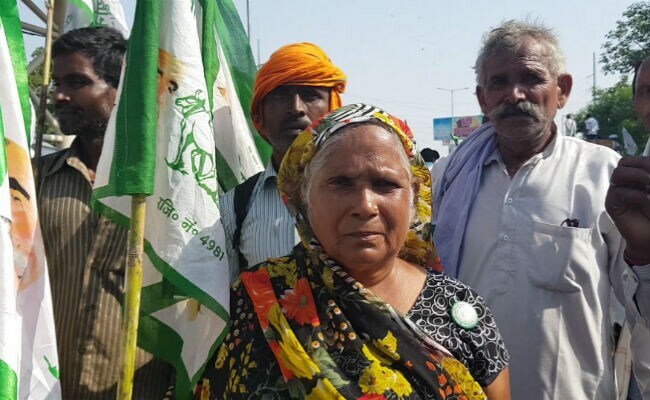 65-year-old Ramadevi from Shahjahanpur district of Uttar Pradesh says that she is not a farmer but a construction labourer and has come here in the hope that the government will listen to demands of all people who live in rural areas. She says, "I live in a house of thatched roof. I want a proper accomodation with a washroom and also pension as I am old and won't be able to work much longer. Currently I am a daily wage labourer. Some days I get work and on many others I don't." 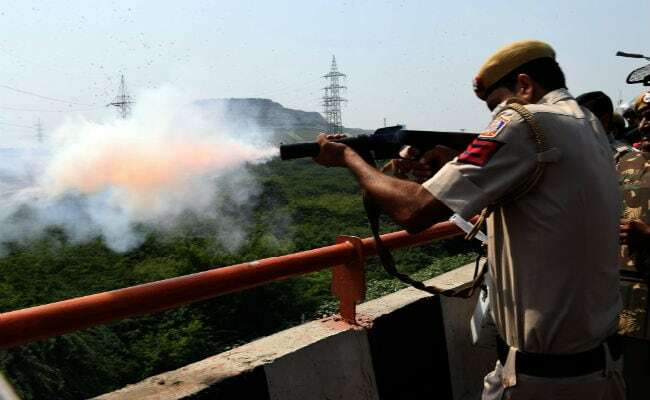 After a day of violent clashes with the police, the authorities opened the borders for the protesting farmers to continue their march to Kisan Ghat in Delhi, the memorial of iconic leader of farmers' movement Chaudhary Charan Singh. For those protesting, justice will come only when the government agrees to all the demands and fulfills its promises as they claim they are tired of the "fake commitments and announcements" that successive governments have made to them over the years.